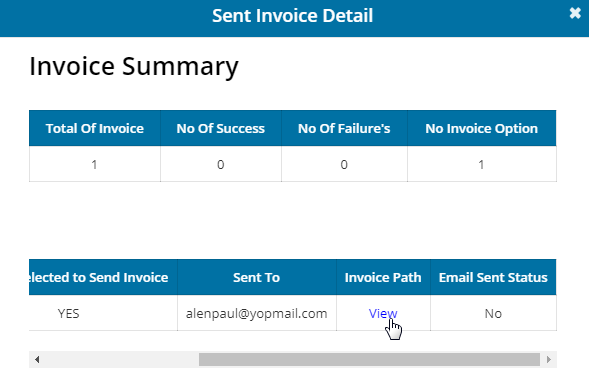 How can I generate Merged Next Invoice? From the main menu click on Lease page. Select or search the merged lease that you wish to generate merged next invoice. In the lease you could able to find merged information row, Click on click here link and you will be redirected to the tenant page. Note : You could find this row only if this lease merged with any other lease. Now you are in the tenant page, Filter it has merged lease. Below the leases will be displayed enable the checkboxes then enter a remarks and finally click on Merge Next Invoice. 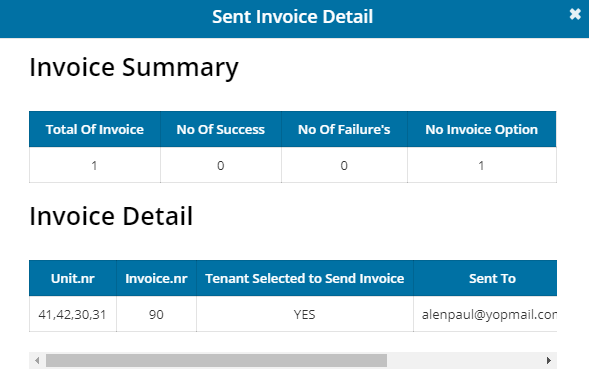 Note: Enable “Email Invoice to Tenant“ checkbox if you wish to send the invoice to the tenant Email. Click on YES on the confirmation pop up. Once done you will receive the status of it and also you can able to view the invoice.